Atkins Diet- Find Out How it Works and is it Good for You! 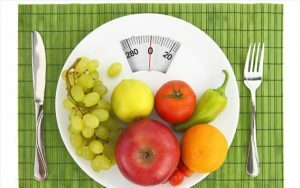 The Atkins diet claims that you can lose up to 10 pounds in a period of time as short as 2 weeks if you followed the low carbs diet diligently. The Atkins diet doesn’t follow the calories counting theory. It emphasizes eating fish, red meat, eggs and poultry in liberally quantities during the first 2 weeks. Eating pasta, bread, rice, fruit and starchy vegetables is restricted. After the first 2 weeks, the dieters can have 20 grams of carbs from green vegetables. Atkins explains that the low amount of carbs would change your metabolism and your body would start burning fat instead of carbs to make energy. You can start losing weight right away with the Atkins diet. Starting from the first 2 weeks, the introductory phase, you will lose up to 10 pounds. This weight loss is primarily from stored fat in your body. The second phase is the ongoing weigh loss phase that lasts till you are 5 – 10 pounds over your target weight. Your goal is to lose three pounds per week at the beginning of this phase, one pound weekly at the phase end. The last phase is the pre-maintenance phase in which your goal is to lose 1 pounds a week till you reach your target weight. Atkins Diet; The Good, The Bad and The Ugly! 1- You Burn Fat Faster With Atkins Diet More Than Any Other Diet! The body burns glucose for fuel to maintain body functions. If the glucose level was not enough to make sufficient fuel, the body would use ketones from fat to make fuel. All diets would be based on starving yourself in order to make the body burn the fat in the belly and thighs area as a source of energy. With Atkins diet, limiting the carbs intake, the level of glucose would not be enough as a source of energy. Your system would shift to burning fat and hence start melting that abdomen area fat within three to four days from starting the diet. The main thing about Atkins diet is that you replace carbs with proteins without calories restrictions. Basically, you eat till you feel satisfied. Since proteins and fat take longer to digest, you stay feeling full for a longer time and you can have better control over your hunger. The toxic overload would be stressing your system and causing you to feel tired all the time. Also, making the body shift its source of energy from glucose to ketones would stress the body even more. It is like a withdrawal from substance addiction. In this case it is withdrawal from carbs addiction that would have toll on your system and your energy level. Plant based food provide human body with nutrients and enzymes essential for a healthy diet and metabolic function. Relying on animal source proteins and lacking carbs in your daily diet, especially during phase 1, makes good nutrition suffer. Is Atkins Diet For You? Atkins diet remains the diet of choice for people trying to lose weight fast. Drinking a lot of water and taking supplements is very much recommended while being on Atkins Diet. Some would rather skipping phase 1 of the Atkins diet and lengthen phase 2. This would lessen the stress on the body and help people who have a lot of weight to lose to go slower and lose the extra weight over a longer period of time. Gradual weight loss would give the time to stretched skin to shrink back and avoid hitting the plateau.